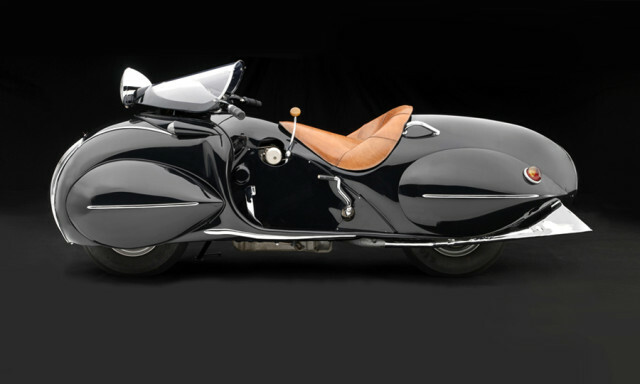 During its heyday, the Art De co design movement represented luxury, glamour, exuberance and faith in social and technological progress. 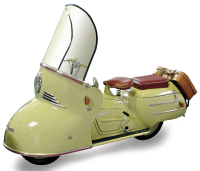 One particular style related to Art Deco is Streamline Moderne (or Streamline) which emerged during the mid-1930s. Streamline was influenced by modern aerodynamic principles developed for aviation and ballistics to reduce air friction at high velocities. 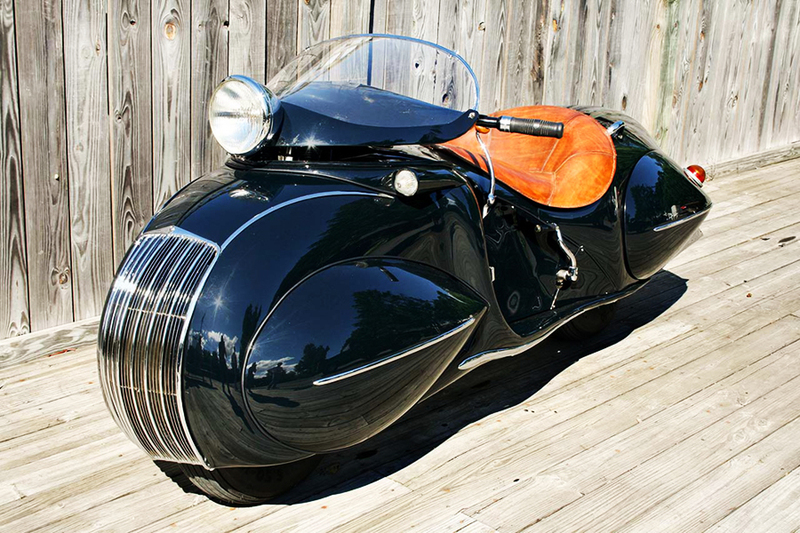 Motorcycle styling of the era was also influenced by the streamlining craze; Excelsior introduced a teardrop tank on its Super-X in 1930. By 1932, Indian had introduced a sleek chain cover and a smooth “saddle” tank that hid the upper frame tube, followed in 1936 by valanced fenders. 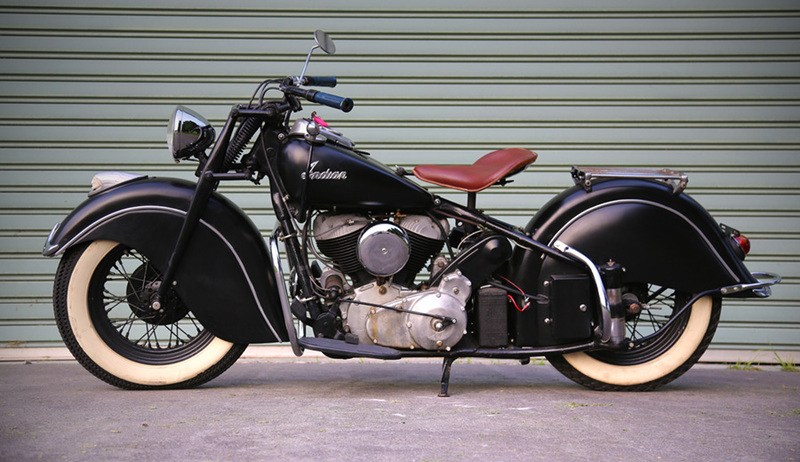 Harley-Davidson streamlined its taillight into the rear fender in 1934, and then broke from its styling traditions with the famous EL Knucklehead in 1936. 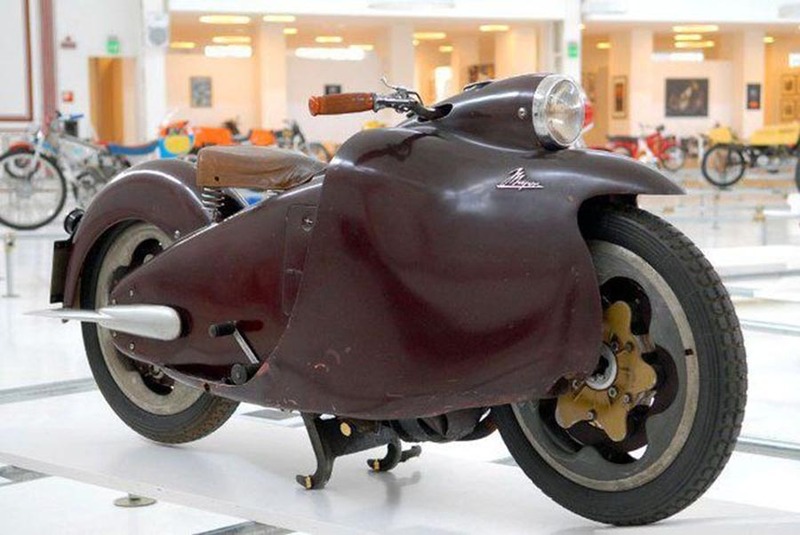 Georges Roy was born in Orléans France in 1888; in the early 1920’s he began attempting to design a motorcycle without a conventional tube frame, which he felt was unsuitable due to its tendency to flex at higher speeds and fail under repetitive vibration. 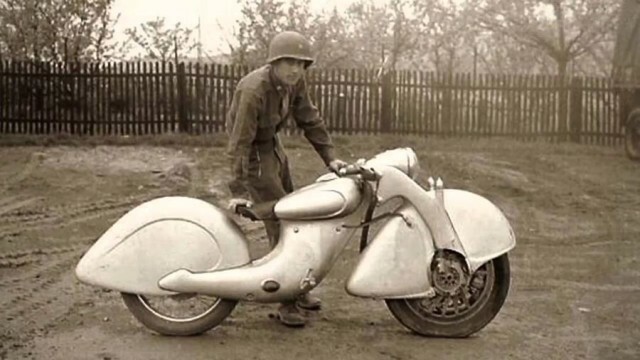 He began experimenting with a sheet metal body which he felt would overcome these drawbacks as well as providing better weather protection for the rider. After designing a prototype Roy applied for a patent in December 1926 and began marketing the “New-Motorcycle”. Although the New-Motorcycle was not a commercial success, Roy soon began designing an even more unusual motorcycle, which he called The Majestic. 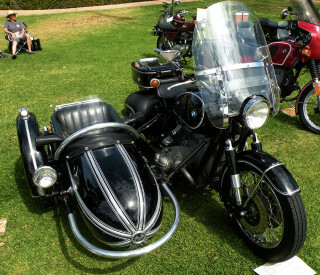 Featuring hub-centered steering via links and rods, the motorcycle had no rear suspension and the chassis ends in a pressed-steel rigid mounting for the rear hub. 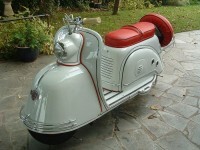 It was powered by a four Cylinder American Cleveland engine. 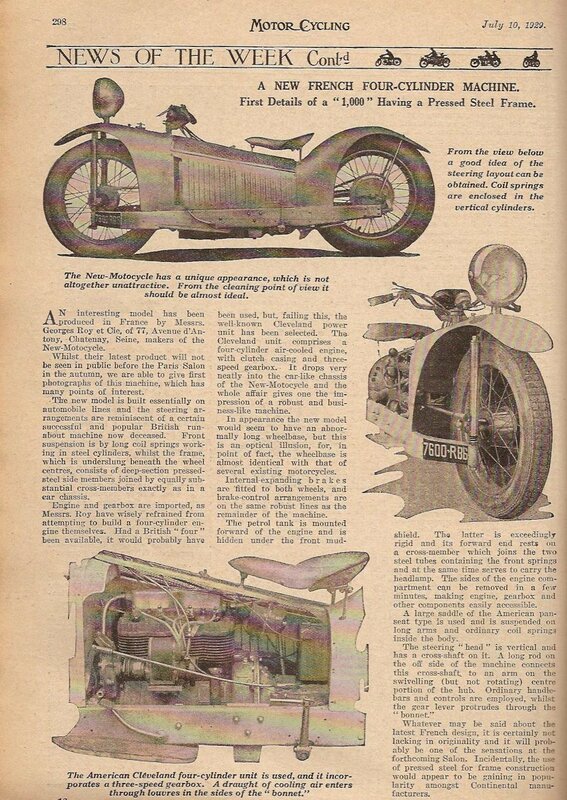 The Majestic was presented at the 1929 Paris Show and created a lot of interest, with a pre-production model presented in ‘Motor Cycling’ on July 10, 1929. 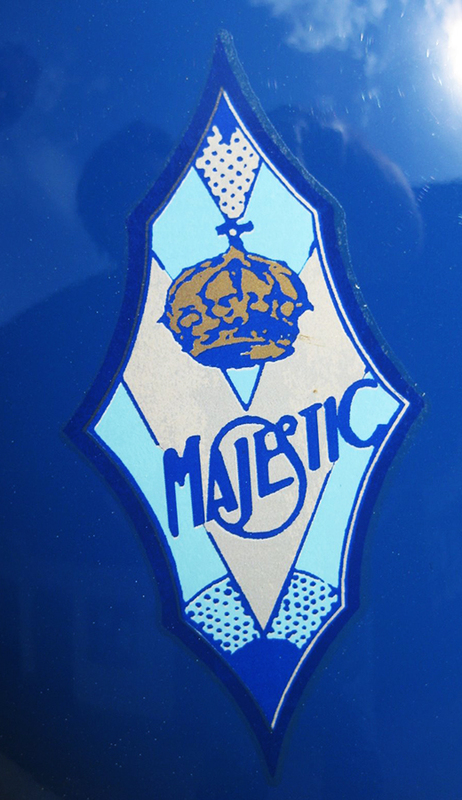 In 1930 Roy sold the Majestic production rights to the Delachanal firm, the makers of Dollar motorcycles and went back to the family knitting business. Reportedly there was a limited production between 1930 and 1933; it is said that about ten machines have survived with a variety of engines. 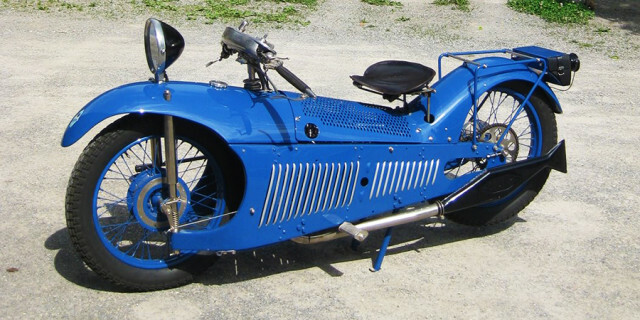 In 2009 Paul d’Orléans of The Vintagent managed to road test a freshly restored 1929 Majestic with a 500cc ohv Chaise engine. In 1934 BMW design engineer Alfred Böning created a prototype 800cc R7 with sweeping enclosed bodywork, a pressed steel frame, valanced mudguards and then-innovative telescopic front forks. 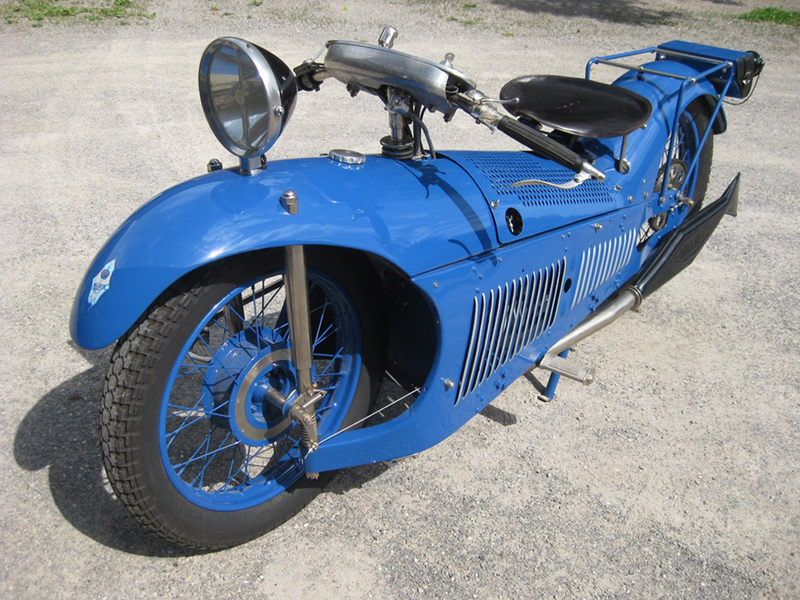 The transmission featured an ‘H’ pattern hand shifter and the “Boxer” engine crafted by Leonhard Ischinger with a forged, single piece crankshaft. 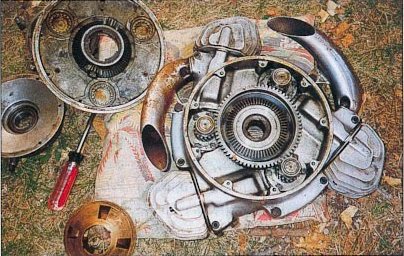 The cylinder housing is a monoblock with a hemispherical combustion chamber, eliminating the need for head gaskets: the camshaft is positioned below the crank allowing for a more convenient plug placement. 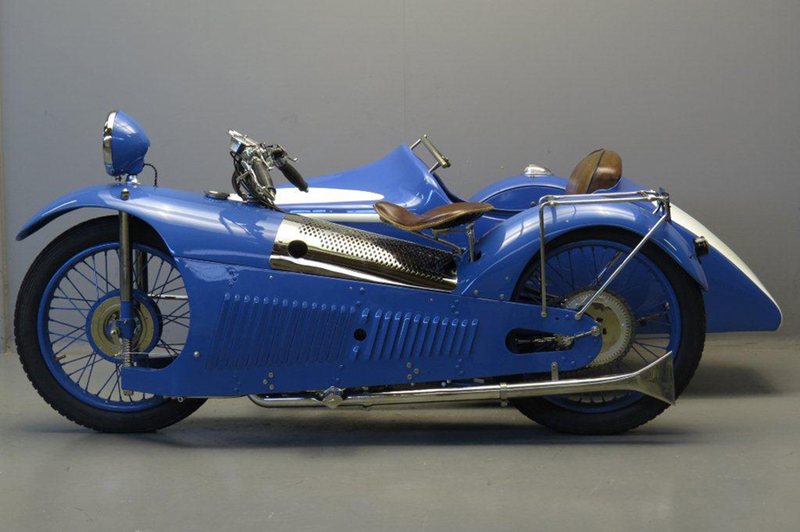 Although the R7 was deemed too extravagant to produce during the increasingly harsh economic and political climate of the mid-1930s, it did inspire both the R17 and R5. The prototype was originally stripped of useful parts, crated and largely forgotten until 2005. 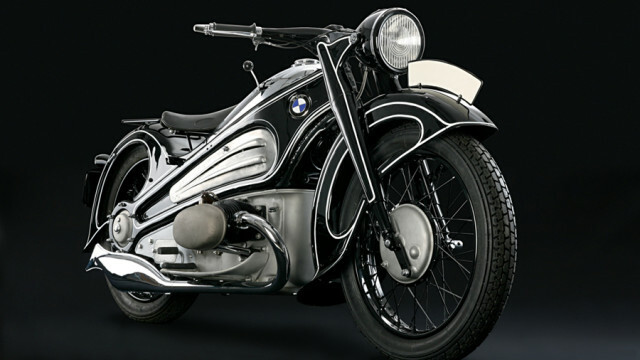 BMW Classic, a business unit concerned mainly with the history of the brand, along with the BMW Museum finally began a restoration and instigated an exhaustive search for the original documentation. By the end of 2008 the machine was finished and performed flawlessly on its first road test in over 70 years. 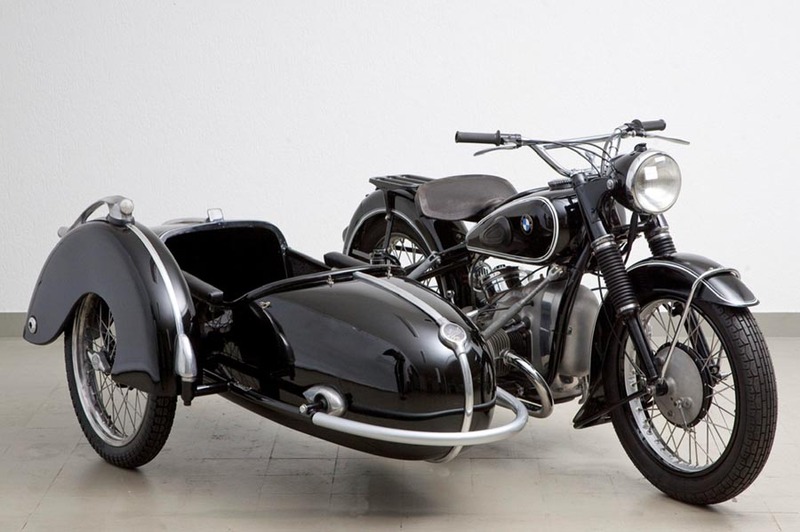 It is now a part of BMW Group Classic’s extensive collection of significant BMW cars and motorcycles and travels extensively to international shows. 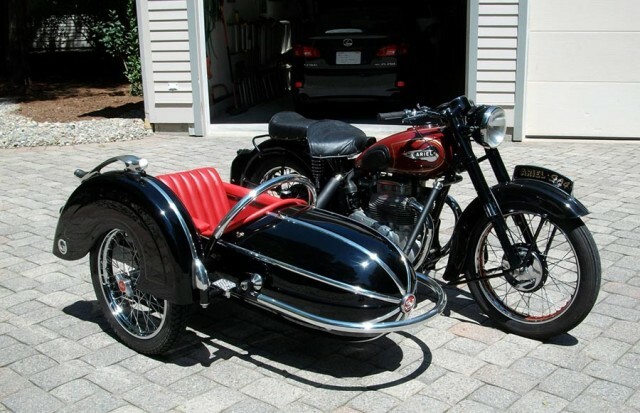 Orley Ray Courtney was born in New Cardon, Indiana in July 1895; he got his first serious motorcycle, a 1916 three-speed Excelsior, at the age of 21. 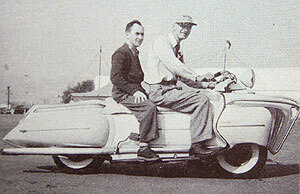 After service in the Army Air Corps during World War I, Ray began work at the Central Manufacturing Company in Connersville, Indiana, where he fabricated body panels and fenders for luxury cars including the McFarlans and Deusenbergs. 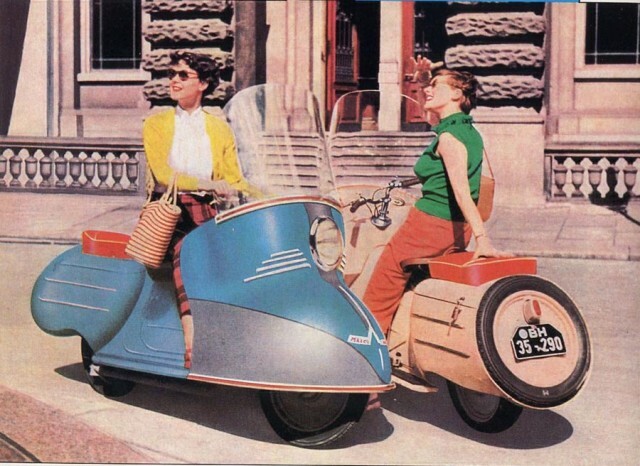 Courtney believed there was a market for a new style of motorcycle, directed at long distance road riders. 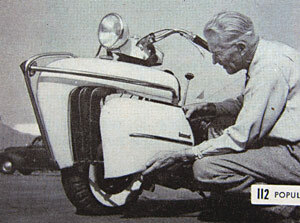 He chose a 1,300cc four-cylinder KJ Henderson as his base machine, the final generation of the company’s production. Sitting on small 10-inch wheels, the Henderson’s chassis was fully enclosed in a gracefully shaped shell that featured a rounded nose and grille similar to a ’34 Chrysler Airflow, and ended with a boat-tail reminiscent of the Auburn Speedster. 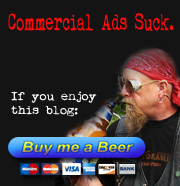 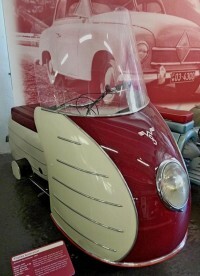 Between, was a Coke-bottle-shaped body with a low seat for a single passenger. 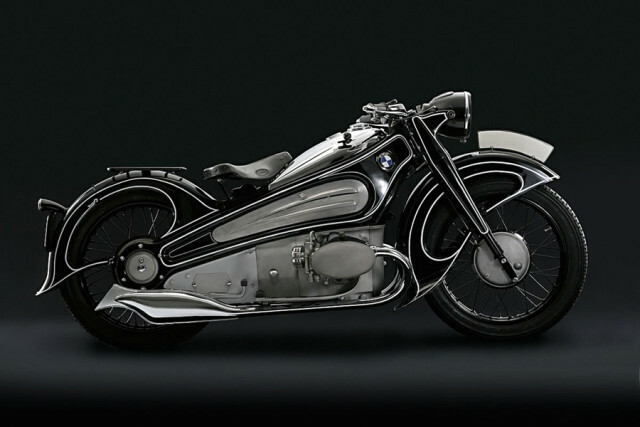 The flowing bodywork was shaped entirely from steel using a power hammer. The hidden chassis has a modified Henderson KJ fork in front and a complicated suspension system in back derived from the auto industry. 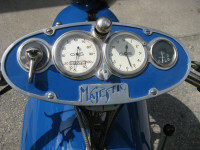 The machine also features hydraulic brakes. The streamlined Henderson was a pure concept vehicle, built to express modern concepts and Courtney’s artistic vision. While beautiful, the machine would not have offered a very comfortable ride for the driver, which Courtney had claimed was his original intent. 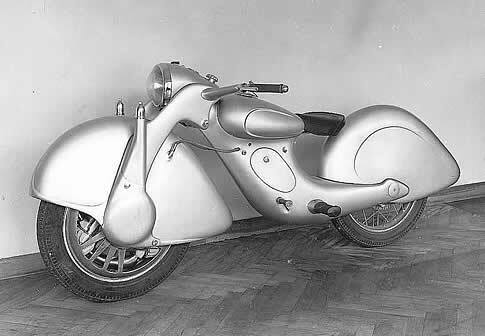 In 1950 Courtney created a second radical motorcycle, designed with limited production in mind. 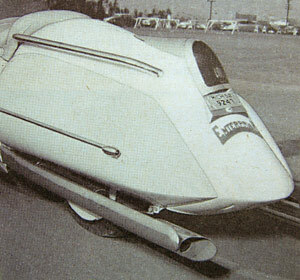 Like the streamliner, the Enterprise was sleek and low with a fully enclosed chassis. It was longer than the Henderson to provide room for two passengers, and a prototype was powered by an Indian Scout engine although the chassis was actually designed to accept any number of engines. 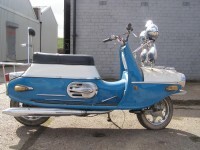 Courtney offered to custom-build an Enterprise for anyone who would send him an engine and $2,500. 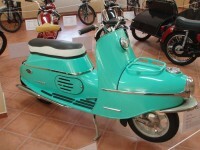 After Courtney’s death in April 1982, Ron Finch purchased both the KJ Henderson and the Enterprise from the family. 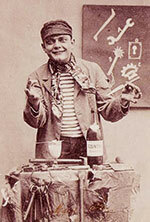 They were eventually purchased by collector Frank Westfall, who recognized their historical importance. 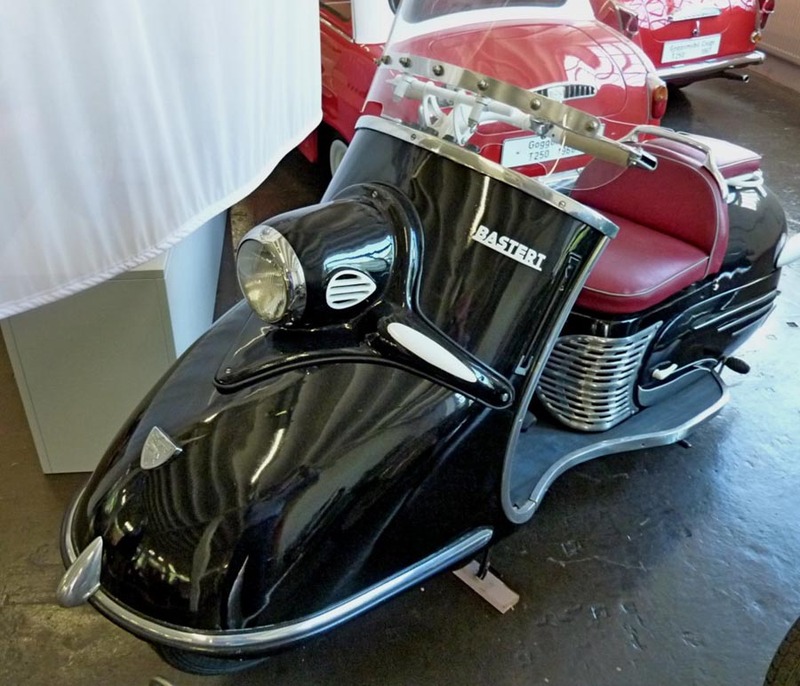 Westfall got the Enterprise running and showed it at several AMCA National meets, but the Henderson required restoration from the ground up, entailing some 600 – 700 hours of work. The motorcycles are currently in the private collection of Frank Westfall. The Killinger and Freund Motorcycle was an attempt in 1935 by a group of five German engineers from Munich to design a more streamlined and modified version of the German Megola front-wheel drive motorcycle. The work took three years to complete but the result was impressive. 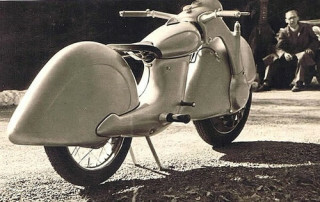 The engine displacement stayed the same as the Megola at 600 cc but was much lighter and more simplified than a standard 100 cc motorcycle of the time. 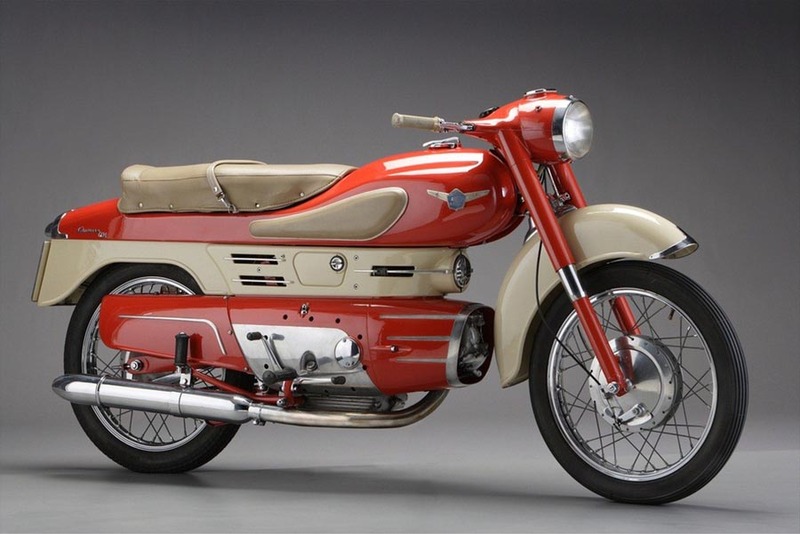 The motorcycle featured an innovative three cylinder two-stroke engine, transmission and clutch built right into the front wheel. Streamlining was important as aerodynamics was the first priority of the team, who also wanted all moving parts protected from dirt and mud. The rear suspension was linked to the lower end of the tubular frame and featured flexible rubber and metal elements that did not require servicing. Steering was much like an ordinary motorcycle but with more vertical telescopic elements than usual, which translated into a wheelbase that wouldn’t change much whenever the front fork dived. The K&F was first shown at the Berlin motorcycle show in 1938. 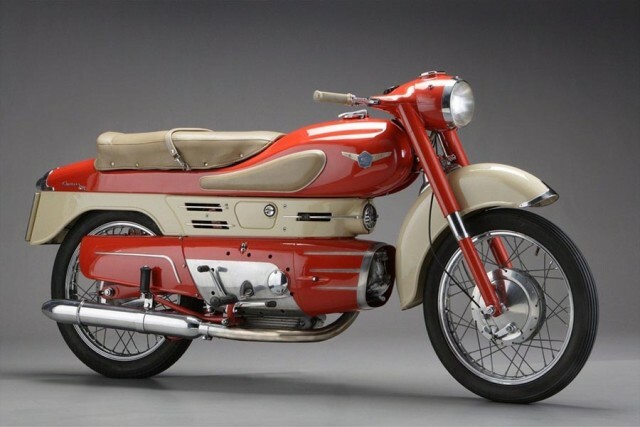 This design was intended for civilian production but the start of World War II cancelled those plans. One motorcycle was discovered by the US Army in the spring of 1945 at a German military installation but it is not known if this was the original prototype or another Killinger und Freund Motorrad. The motorcycle was taken to the Aberdeen Proving Grounds in Maryland, and was placed on display there for a period of time. 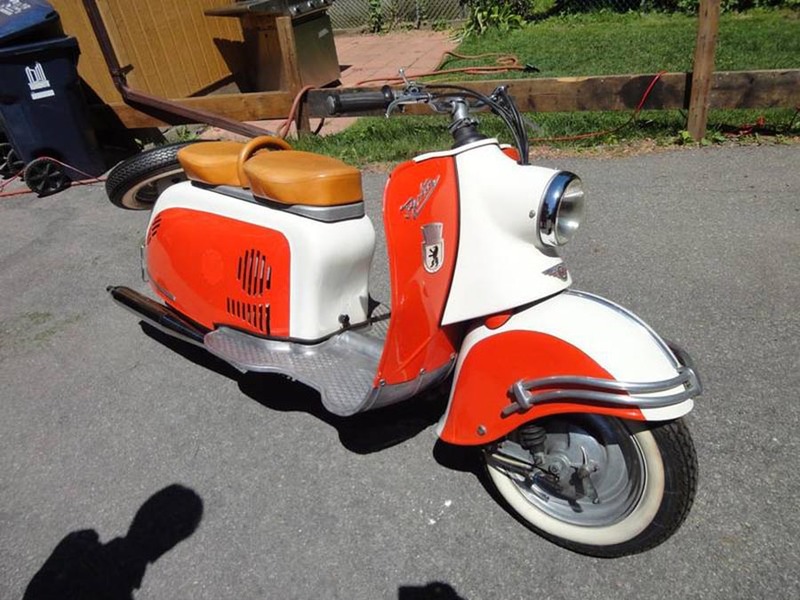 Later, it was discovered in a scrap heap and purchased by American collector Harry Buck. 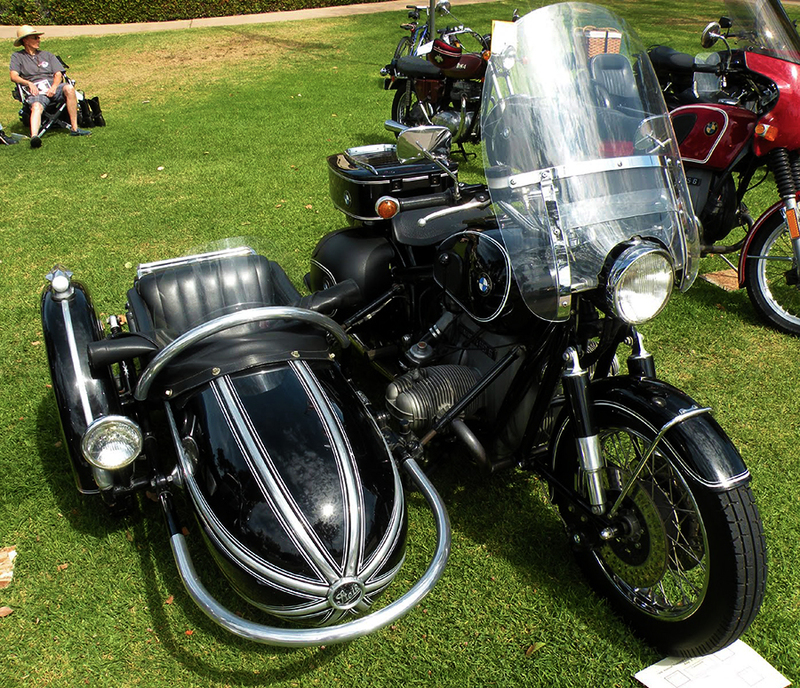 The rear hub was later discovered in the possession of Karl Duffner, who ran it on the front of his 1954 BMW R68 for nearly ten years. Today the only known remaining Killinger and Freund Motorcycle is in storage while the owner collects documentation and other relevant items for restoration. 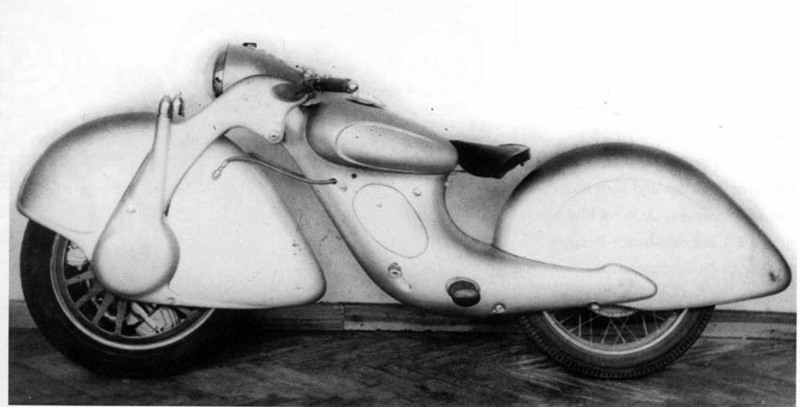 Salvatore Majorca, an engineer from Turin, Italy, prototyped the Moto Major in 1948. 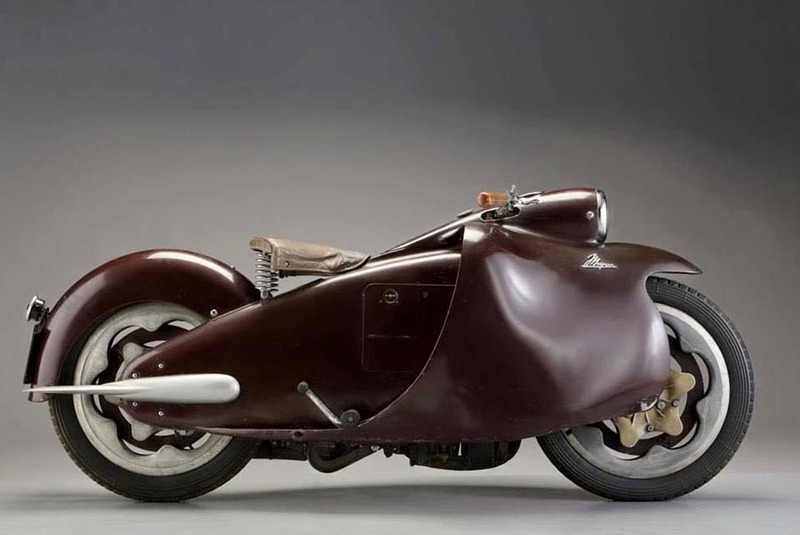 Although the motorcycle was intended as an experiment in engineering, the aesthetics rested firmly within the streamline style which was already fading from popularity as racers began opting for lighter, more maneuverable machines. 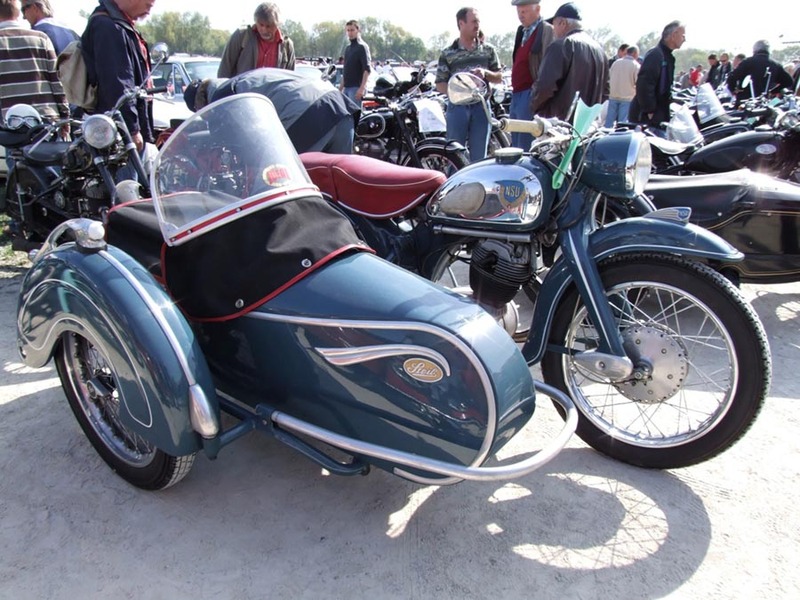 One remarkable feature of the 297cc machine was the suspension: doing away with traditional springs and hydraulics, Majorca instead utilized specially designed rubber cylinders integrated into the hub and wheel rim. 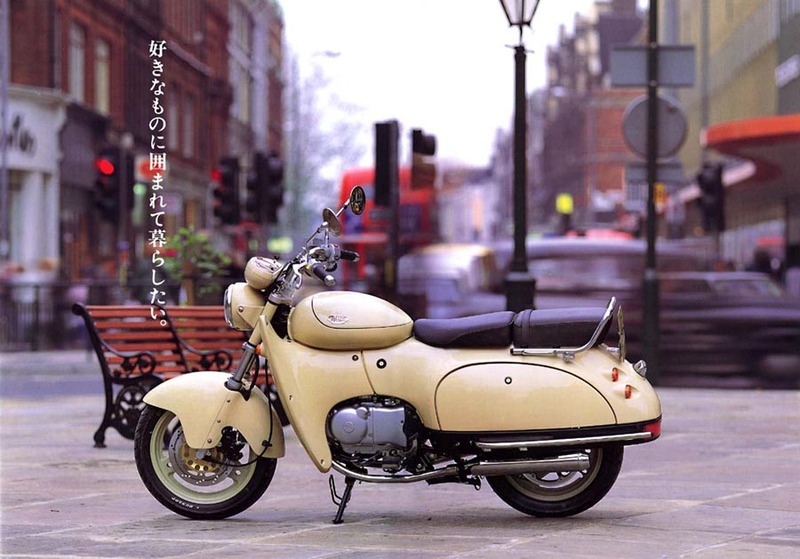 Unfortunately the motorcycle proved too expensive for production or competition with the already well established Moto Guzzi company, and only a single example exists. 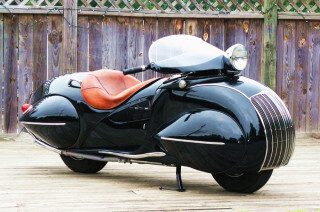 Although most of these motorcycles existed only as prototypes due to production expenses and other issues, streamline and Art Deco styles were successfully applied to the more lucrative market of small displacement scooters and sidecars. Steib Metallbau (later Josef Steib Spezialfabrik für Seitenwagen) was a company from Nuremberg in Germany who manufactured sidecars. 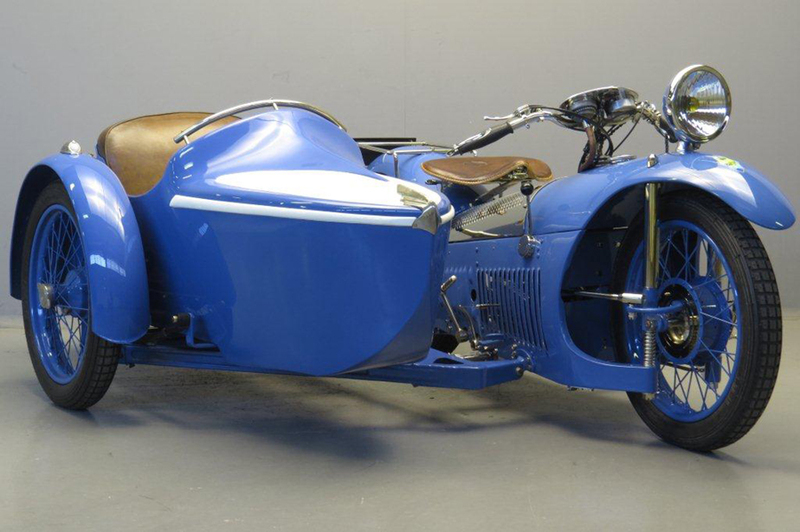 The firm was founded in 1914 by Josef Steib Senior and began making sidecars in 1928 following a commission from the motorcycle manufacturer Ardie. 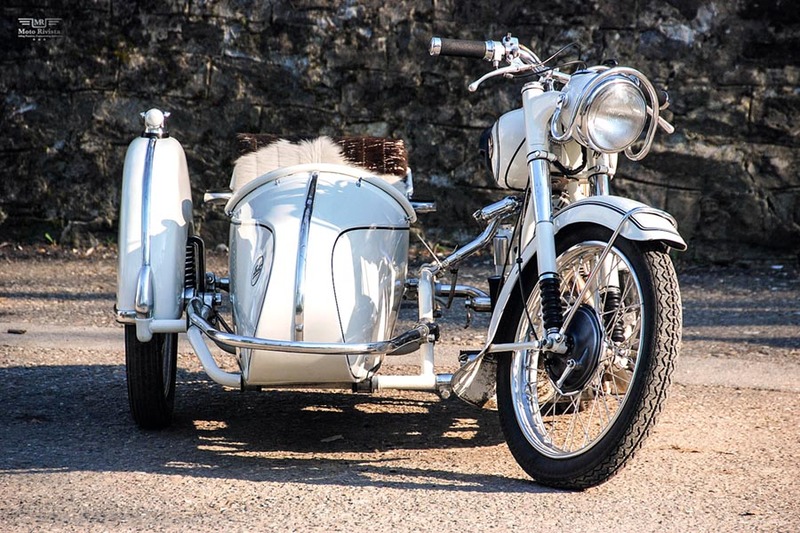 The company reached its peak in the 1950s when it claimed to manufacture 92% of all sidecars sold in Germany and the sidecars were the standard model offered with BMW motorcycles. 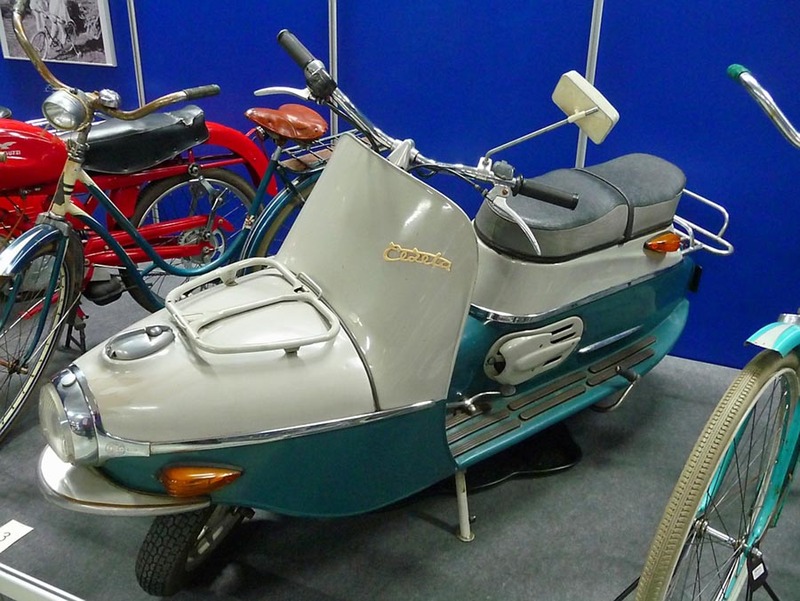 The product range included a variety of designs with the LS 200 for motorcycles up to 200 cc (12 cu in), the LS. 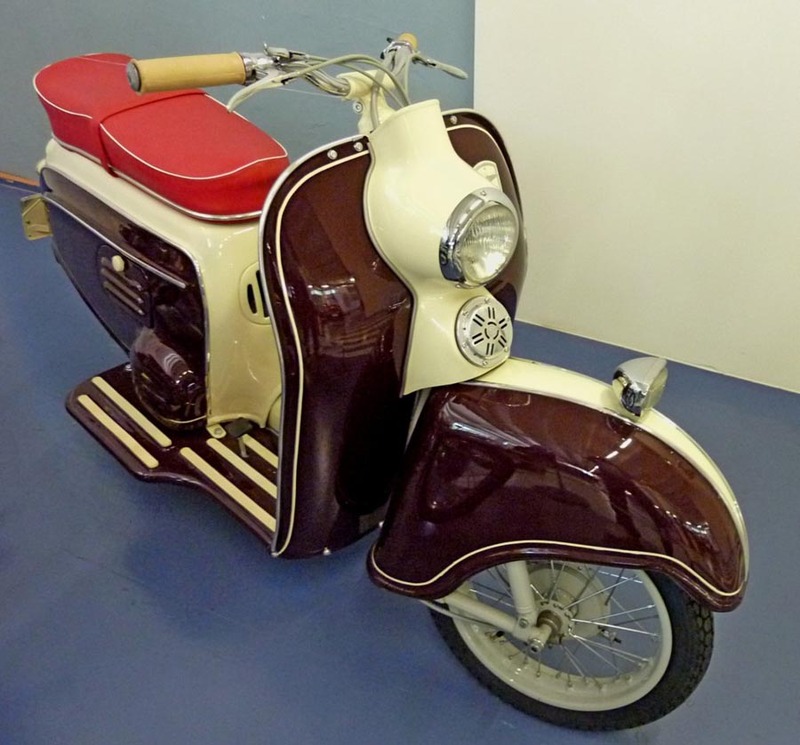 350 for motorcycles of 250 cc (15 cu in) to 350 cc (21 cu in) and the S 500 L and TR-500 for motorcycles above 500 cc (31 cu in) among the most common.The company closed in 1957, although replica outfits remain in production today. The global popularity of scooters dates from the post-World War II introductions of the Vespa and the Lambretta. These bikes were intended to provide inexpensive, low-power personal transportation (engines from 50 to 250 cc), and while the streamline style had fallen out of fashion by the 1950’s scooter manufacturers maintained aerodynamic styling as a hallmark well into the 1960’s.